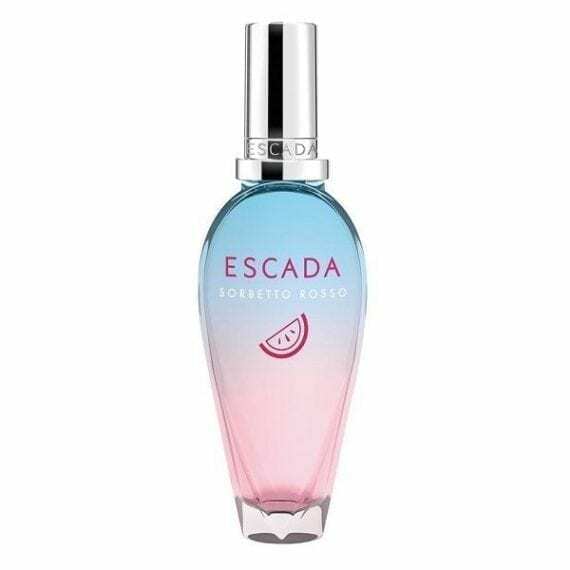 Sorbetto Rosso Eau de Toilette. The new annual launch of Escada summer limited-edition evokes a delicate reminder of a southern-Italian summer; Sorbetto Rosso takes inspiration from the true spirit of the Amalfi Coast, with juicy notes of Watermelon, Pear, Sea Salt Accord, Praline Accord and warm Amber. 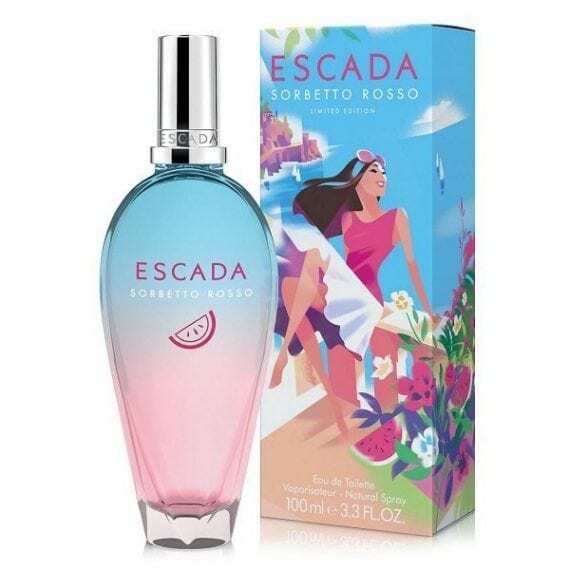 This is a fruity floral women’s fragrance with Watermelon dominating the composition, leaving a fun, sweet trail on the skin. The Pink & Blue ombré style bottle gives the fragrance its ultimate summer vibe. Available to buy as a 30ml, 50ml & 100ml Eau de Toilette Spray for women. staff review, This scent is exremely sweet and for anyone who loves the fresh smell of watermelon, you will LOVE this one. The reason for 3 stars is due to the fact we are aware sweet smells are not everyones prefered scent. Amazing gift option for young adults moving away from celebrity fragrances or lovers of melon, sorbet and all things sweet.